It may not be an officially declared full scale combat but when two business selling the same product are located so close to one another that the last digit on my odometer didn’t change driving from one to the other, it has to be some sort of undeclared conflict. Last night I compared a few different wine prices at the two stores and made some observations. Overall, Hops n Grapes has better prices on the approximately ten wines I checked on with Monster only being less expensive on one or two of my choices. There are some other noticeable differences in the two stores and they way they promote their wines. Hops n Grapes utilizes the internet and e-mails “daily special” coupons that offer “one day only” sales of about 10 to 15% off a featured wine. Not many of the wines offered were ever of much interest. I’d say roughly every 15th offer is worth pursuing but, your mileage may vary. They also offer buyers “credits” which appear to be about 2% when you use your Hops n Grapes card for each purchase. Monster does not use the Internet. Their approach to wine “sales” appears to be two-fold. 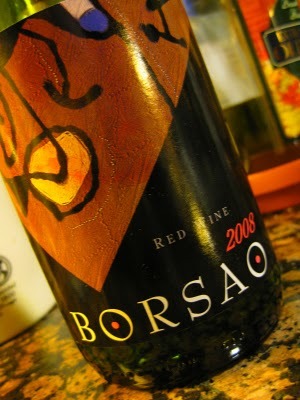 Many of their wines are marked with two prices. One is purported to be the retail price while the lower is the “Club” price. It appears to me that the lower or “club” price is what the wine SHOULD sell for. 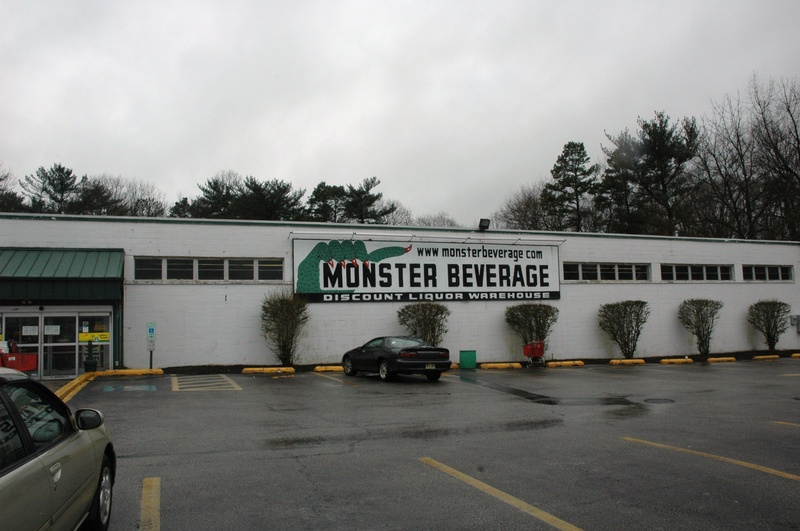 In many cases, Monster’s “club” price equaled Hops n Grapes regular every day price. The good folks at Circle Liquors in Somers Point use a similar pricing system. There are a few legitimate good buys at Monster, they can be identified by an orange price tag. Here are a few of the comparisons I made between the two stores. On the high end wines, Monster has a glass case with about 50 top of the line wines. 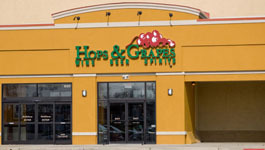 Hops n Grapes has an excellent premium wine selection with hundreds of good choices. In fairness, Monster has improved their selection over the past few years in response to the arrival of Hops n Grapes. They may be a little higher in price but if you have the time it’s worth checking out both places for the wine you are looking for. Why does buying wine have to be so damn hard? It’s bad enough that you have to select from thousands of possibilities but you also have to choose a wine from the right vintage. Vintage refers to the year that the wine was produced. Remember, most wines, at least the ones we want to drink, spend a certain amount of time in some sort of barrels. By the time the wine is on the shelves of our local wine merchant, a year and probably somewhat more, has passed. I’m not going to go thru every year and describe the wines of that vintage but here are a couple of hints on the better vintages in some of the wine growing regions since the start of this decade. If you are looking for the best that France has to offer you will want to buy wines from the 2005 or 2000 vintage. Both of these years were outstanding and the wines from these years are, for the most part, great examples of how good French wines can be. A word of caution; because these vintages were so good, you can expect to pay more for wines from 2000 and 2005. Italy is another very popular place for wine enthusiasts. There are several different wine growing areas in Italy with contrasting climates, so that one can not uniformily give the entire country one vintage rating. For now, we will just focus on Tuscany and the wines of Chianti. The best years of this decade were 2006 and 2004. Remember, when you are shopping for Chianti spend the extra money and always choose the Chianti Classico Riserva. It’s the good stuff! 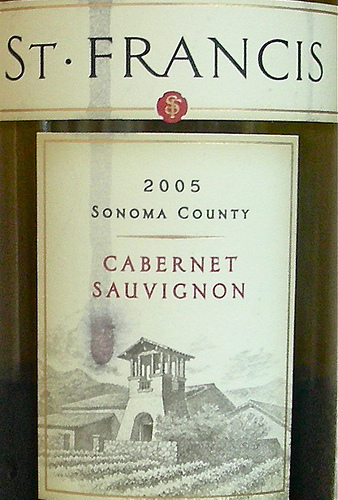 If you are a fan of California Cabernets you might want to narrow your search to bottles from 2007, 2001, 2005, or 2002. This isn’t to say wines from other vintages aren’t good. It simply means these were the years that lent themselves, through good weather, to better grapes, allowing the wine makers to work their charms. If Australian wines float your boat you should select from 2005, 2001, 2002 or 2006, in that order, especially wines from Barossa or McLaren Vale (see my earlier post on “my all-time favorite wine”, the 2001 Shirvington Shiraz). The wines of 2005 from this area are rated higher than both 01 and 02 but as good as the 05’s might be I honestly feel that the great wines from McLaren Vale in both 01 and 02, far surpass even the 05 in drinkability. Discovering the sheer power and balance of the that 2001 Shirvington was one of the great wine-tasting events in my life. Wines from Spain are the new rage and the prices are, for the time being, very reasonable. In a few years, as their popularity increases, you can expect to pay more for Spanish wines. If you want to look for the better vintages I would suggest 2004 or 2001 with 2005 close behind. Unfortunately, wines from Spain don’t spend a lot of time on the shelves so it’s possible all you will see are bottles from newer vintages. Don’t let that deter you, as even the current wines can be a great compliments to all kinds of foods. The Malbecs from Argentina have had outstanding ratings in each of the last five vintages, so for you, this is a no-brainer. Any bottle of Malbec from Argentina is from a good vintage, and many are available for $10.00 to $12.00. 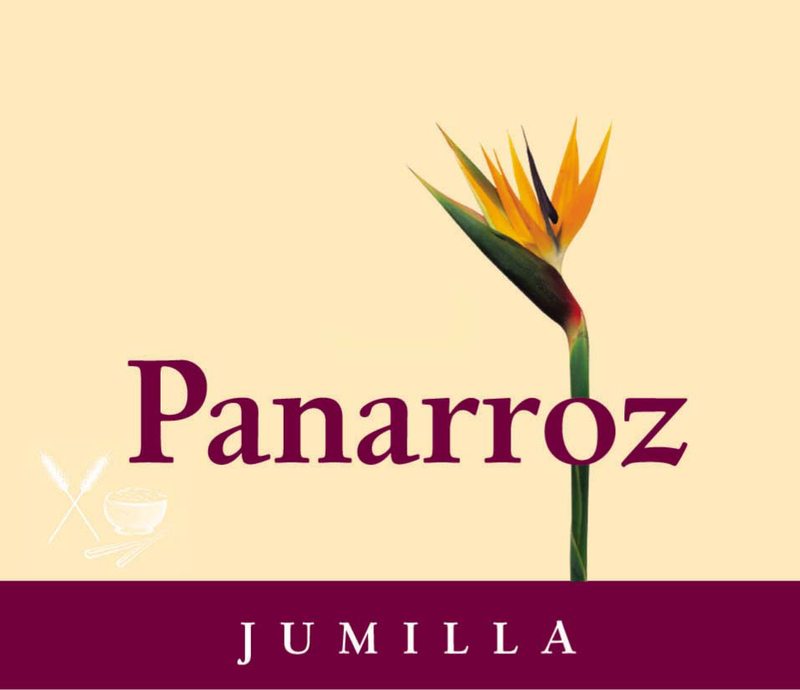 It’s up to you to try a few different producers and settle on the one you find most enjoyable. 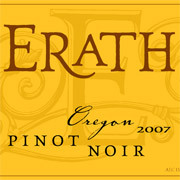 For Oregon Pinot Noirs, the vintage now on most shelves, the 2008’s, are rated higher than any other vintage of this decade. Pinot Noir is one of my favorite varietals and the ones from Oregon are excellent. The more you are willing to spend for these, the better your chances of experiencing the true flavors of this grape varietal. As you might have noticed, my preference is for red wines. I do acknowledge that there is room in life for white wines. With that in mind, if you like Chardonnay from sunny California, I would suggest the vintages from 2005 with 2007 and 2004 just slightly behind. In Germany, the Rieslings from the Mosel-Saar-Ruwer, 2005 vintage were outstanding with excellent wines also being produced in both 2006 and 2001. There are many web sites online where you can find vintage charts. Some are downloadable as pocket fold-ups that can be carried in your wallet and used as a resource when you are browsing the wines shelves. Remember, good wines can come from any vintage. There are wine makers working all over the world who are talented enough to create good wines from bad vintages. Hopefully, the information I have given you here will help you find the best that each wine growing country has to offer. SHOPPING FOR WINE ONLINE – and finding lots of bargains in one place ! I went online last night to see if I could find enough good to very good wines that would make up a case of wines (12 bottles) for under $100.00. It was my intention to split up my shopping amongst several local wine outlets. Where I went wrong was in beginning my search at Hops and Grapes in Glassboro, NJ. I found so many wines on sale that I was able to fill my case without leaving their “online” location. These are not just any wines. They are wines that I have enjoyed, most within the last year. Lots of them have excellent scores from Parker or the Wine Spectator and not one of them cost more than $9.99. In being totally honest, the case I selected actually totaled out at $103.77 but who is gonna quibble about $4.00 and for all I know, you might get a case discount. Here are the 12 wines I selected for my bargain case and their individual prices. Keep in mind, these are all good wines that I would recommend to friends and family. 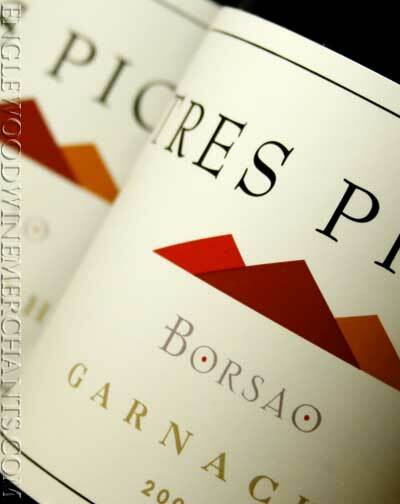 They represent a variety of wine making regions and all are currently priced at under their usual retail prices. They may not fall into the category of “special” wines but they certainly qualify as excellent “everyday” wines that would compliment virtually any meal. In no particular order, here are the 12 wines that made up my ONLINE SHOPPING Case. REMEMBER – FRIENDS DON’T LET FRIENDS DRINK WHITE ZINFANDEL !! It was always my intention to make every post on this blog something original. A creation of my own mind for better or worse. I recently came across this article which has forced me to make an exception, hopefully, a rare one, to this rule. Mike Steinberger is the Wine Writer on Slate Magazine. Slate is an online magazine that covers the entire spectrum of news and presents it in unique and interesting ways. Many of their articles have been quoted by all the major news outlets. On May 6, 2009 Mike wrote an article for Slate titled “Never Buy Bad Wine Again”; Slate’s Guide to the Importers You Can Count On. This is an excellent article on a topic I am passionate about which is how to get the general public, the wine novices, to stop buying bad wines. One slightly limiting thing about this article is that it only refers to foreign wines; those imported into the USA from regions like France, Italy, Germany, Australia, etc. This will not help you with California wines. You can go to Slate.com and read the entire article but the key piece is a printable, fold-able card that you can carry in your wallet listing the best importers. When you visit your local wine outlet simply use this card to compare the importer listed on the bottle to the list of the best importers on your card. I would point out that there is one excellent importer of Australian wines NOT listed on this handy card. I strongly suggest you add the name Grateful Palate Imports to the back of this card and look for them when wine shopping. Good Stuff!